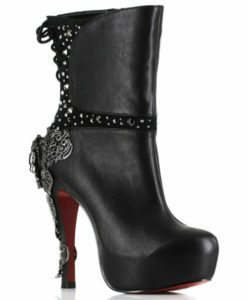 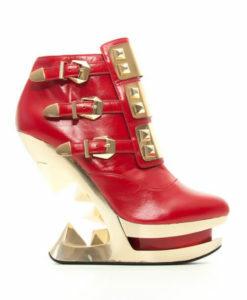 Unleash your inner rebel with Faline! 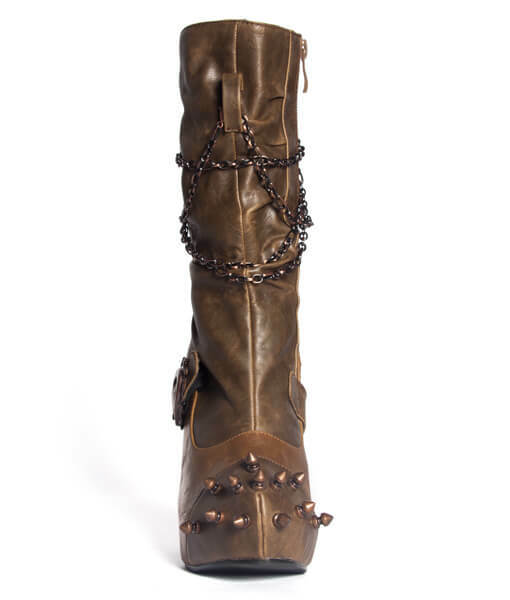 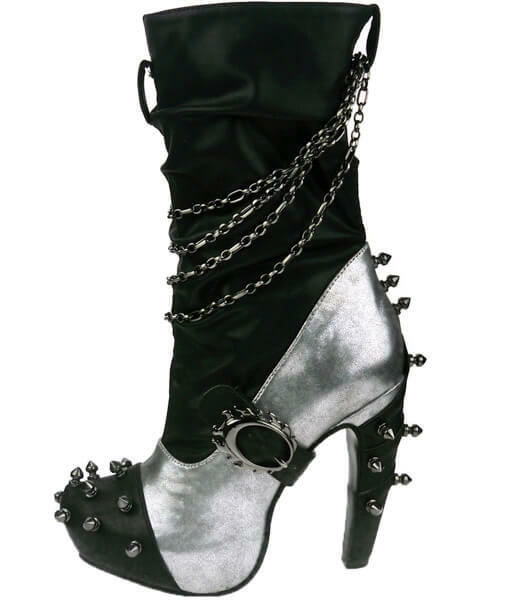 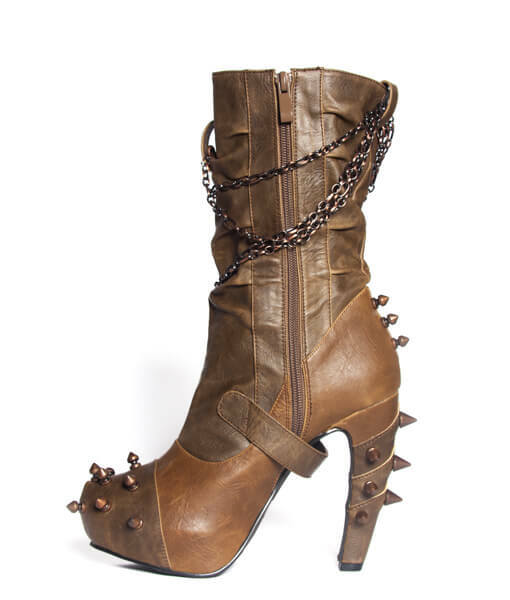 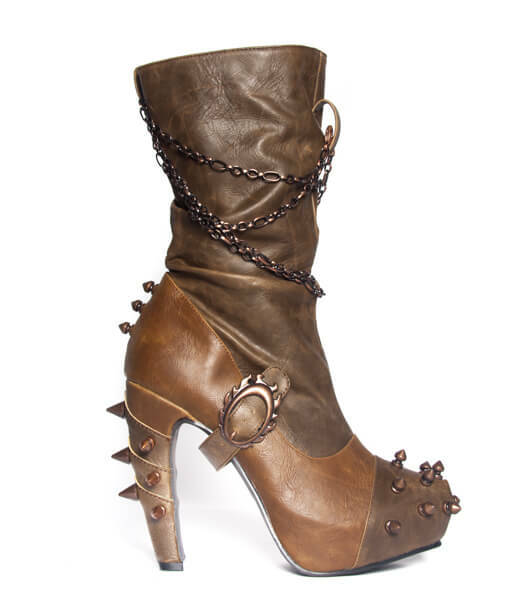 This two-toned, mid-calf boot comes in contrasting colors while matching metal chains dangle around the ankles and spikes cover the toe and heel. 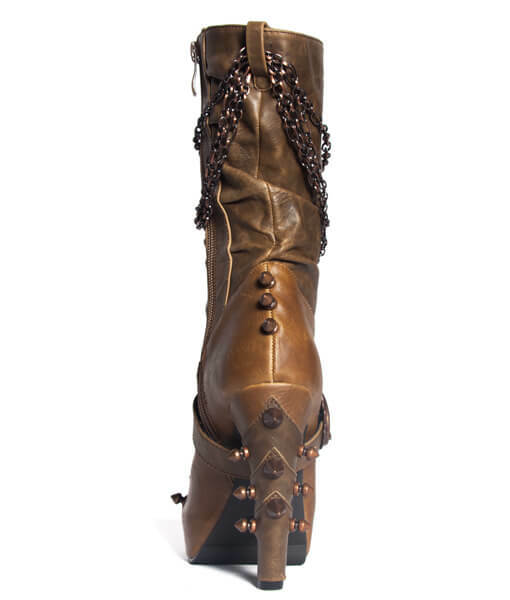 Unque ruffled and layered upper. 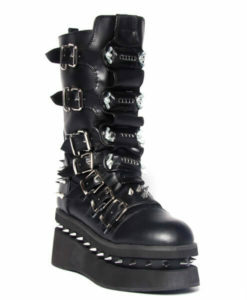 Adjustable flame buckle on the side. 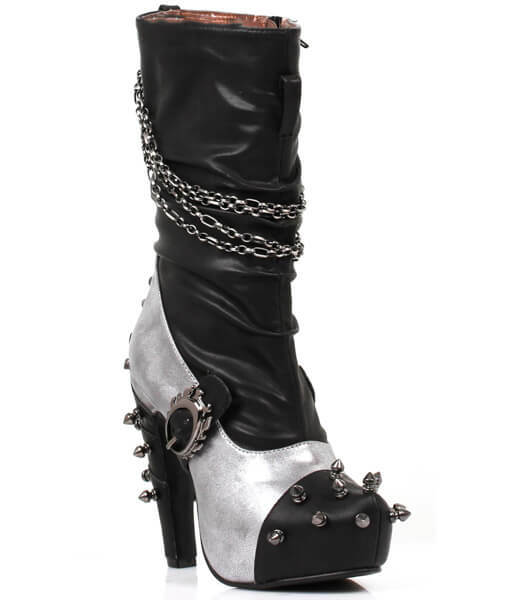 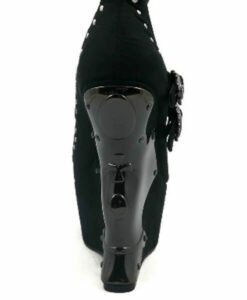 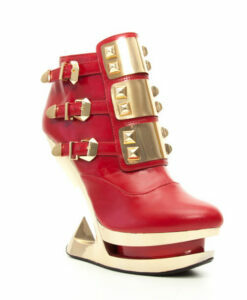 5″ heel and 1″ concealed platform. 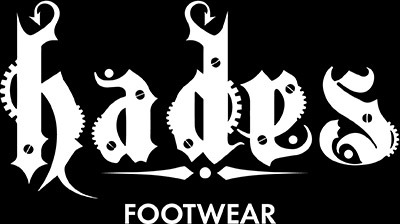 Black Friday/ Cyber Monday Sale on Black/Brick, Tan/Green and Brown/Beige. 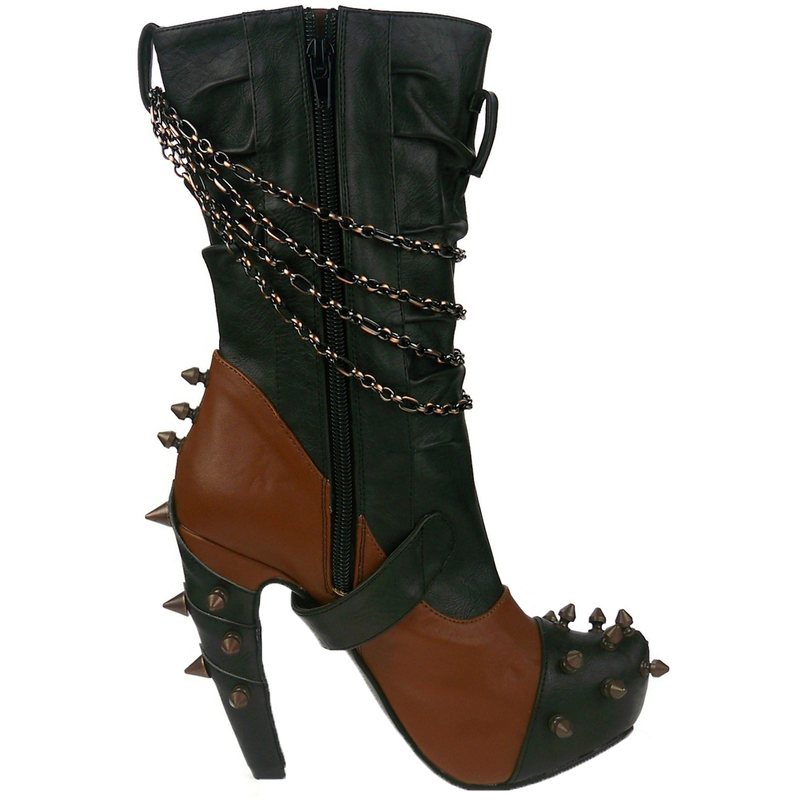 Unleash your inner rebel with Faline! 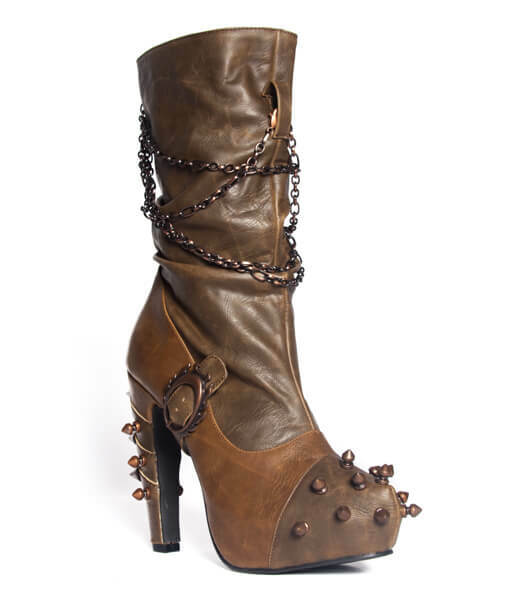 This two-toned, mid-calf boot comes in contrasting colors while matching metal chains dangle around the ankles and spikes cover the toe and heel. 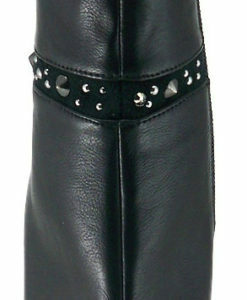 Unque ruffled and layered upper. 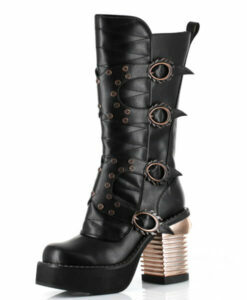 Adjustable flame buckle on the side. 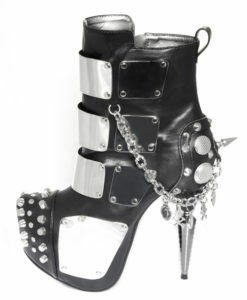 5″ heel and 1″ concealed platform.